I admit, I need help. I haven't the faintest idea how to really become good at vegetable gardening. So, it's book browsing on Amazon.com that I've been. 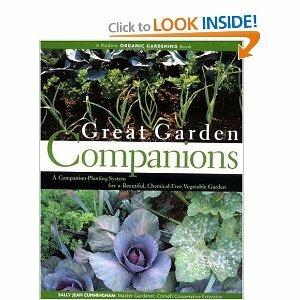 I'm very keen on the idea of companion gardening. But which book is better? 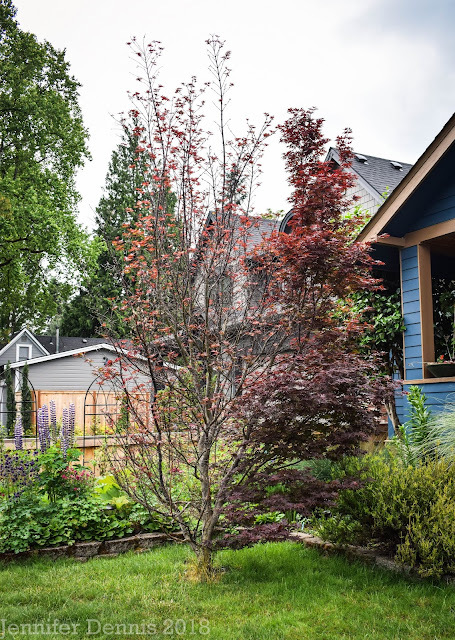 Or how about learning to year round garden? I really want to learn to do that! Square foot gardening. This sounds practical and efficient! Or has it really come down to admitting that I might just need to start here. 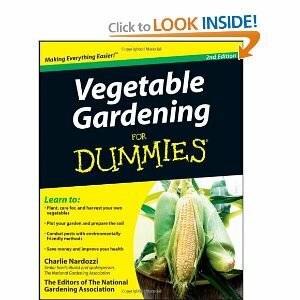 Here's a call out to all of you seasoned gardeners....what books to you recommend to help this newbie? I can recommend the square foot gardening book. It's a classic with lots of good info. I also have a book called The Sunset Garden Book of Edibles, it's an excellent book geared toward gardening on the West Coast. I've done ornamental gardening for ages, but veggies are pretty new to me. I've only been doing veggies for a few years. Jenni, I know zero about veggie gardening, so I'm no help. I just read your log crash entry. Wow. Glad you were okay. I wa wondering what charges were laid against the company that didn't maintain their equipment. I'll be very interested to see what books people suggest since I'd love to learn more too. I bought "Sugar snaps and Strawberries" and it has been pretty good, but I think I need another one or two. I'm guessing the Sunset one that Alison suggested would be a good one. I don't think you need a book when just a few great gardening websites will do. My sister's is a good place to start: growgreatvegetables.com. Wow, all those books look good. I learn alot from monthly garden magazines. Not sure what you have to choose from in the US; in the UK we have 'Amateur Gardening' and 'Kitchen Gardening' etc that give fab tips. Although a few reference books are always good. I have a few books from America by Jerry Baker; you could probably find them cheap on amazon. I'm glad I'm not the only one feeling like a beginner at the whole veggie thing. At our student greenhouse garden, I just ate a beet leaf. It was delicious. I didn't know you could eat the leaves. It will be fun comparing our first years. @Diane, no charges against the company as it was deemed an accident..we didn't agree but their insurance company paid for the repairs and they weren't horrid to work with, so we felt it was a decent outcome considering. 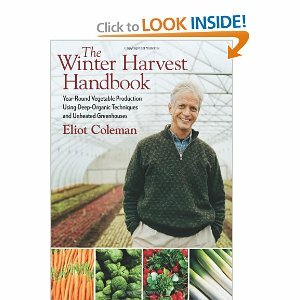 I have to say that out of them all Eliot Coleman is the ultimate Master Gardener! As far as companion gardening goes- you'll end up doing that naturally and a lot of it is scientifically unproven. I do it, accidentally, and have seen some that work in my own garden :). 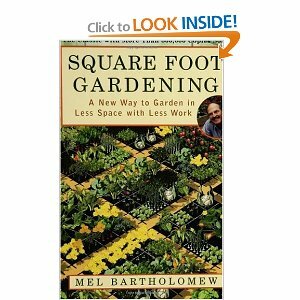 I used Square Foot Gardening years ago- a great method for beginners. Mel is really good about answering any questions you might have and has a good site. Years ago I was in contact with him and was considering creating an example garden for the public using his method- it never came to be and I moved on to other methods (Coleman). He was nice and put part of my comment in his newest edition- great guy! Thanks for stopping by- and no manicure here, but I'm glad you think they look nice in the shots! Happy gardening, hope you're getting some sunshine! These are all new to me! I have a mix of old and new - a very traditional Readers' Digest manual that I think is really meant for English men wearing tweed caps and smoking pipes, and an Organic Gardening tome. The rest I tend to pick up from gardening magazines and the BBC's Gardeners' World. I have a real soft spot for Monty Don! I wish I could suggest a good book, but I have to find some first, and I haven't yet really looked although I need to. We have a vegetable garden and successes have been hit and miss. I think it's important to get the soil tested (which I need to do! again). Vegetables seem to be more sensitive to mineral imbalances than ornamentals, probably because they are heavy-producing. Trust me when i say this: If you are from the Lower Mainland area of BC I suggest you buy the following book title. "Growing Vegetables West of the Cascades-The Complete guide to Organic Gardening"Sixth Edition, by Master Gardener and gardening author Steve Solomon. You can probably find it at amazon.com or a variety of commercial websites, or buy it at West Coast Seeds's website, or their new retail store in Ladner. They are in the Metro Vancouver phone directory. I always advocate the books of Joy Larkcom, of whom I am a disciple. She was a devotee of the Potager: the principle that you can happily combine ornamental and productive plants (some of them will be both). 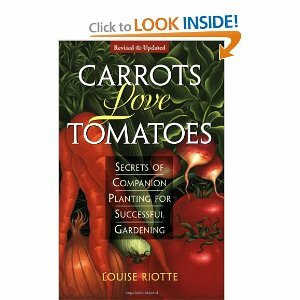 I recommend "Salads for Small Gardens" and the matching volume "Vegetables for Small Gardens". Thank you Mark, the title's of those books sound very much like what I am hoping to accomplish!